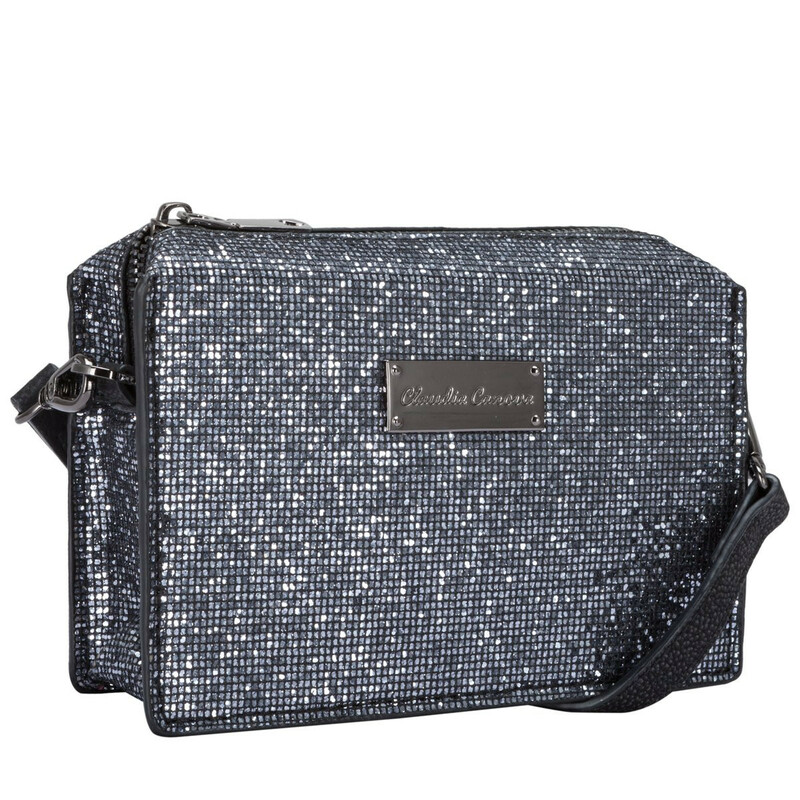 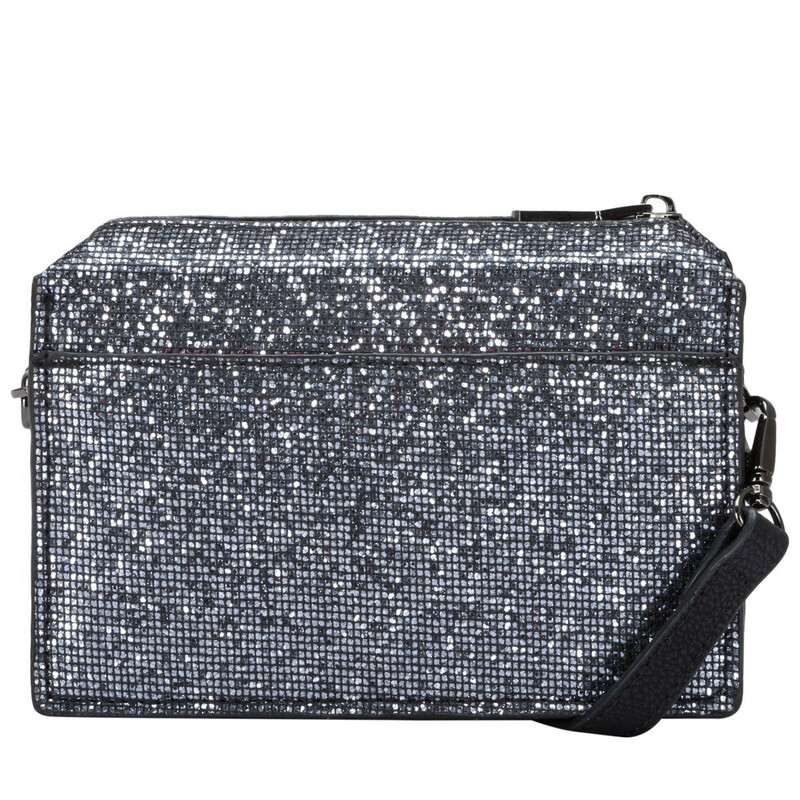 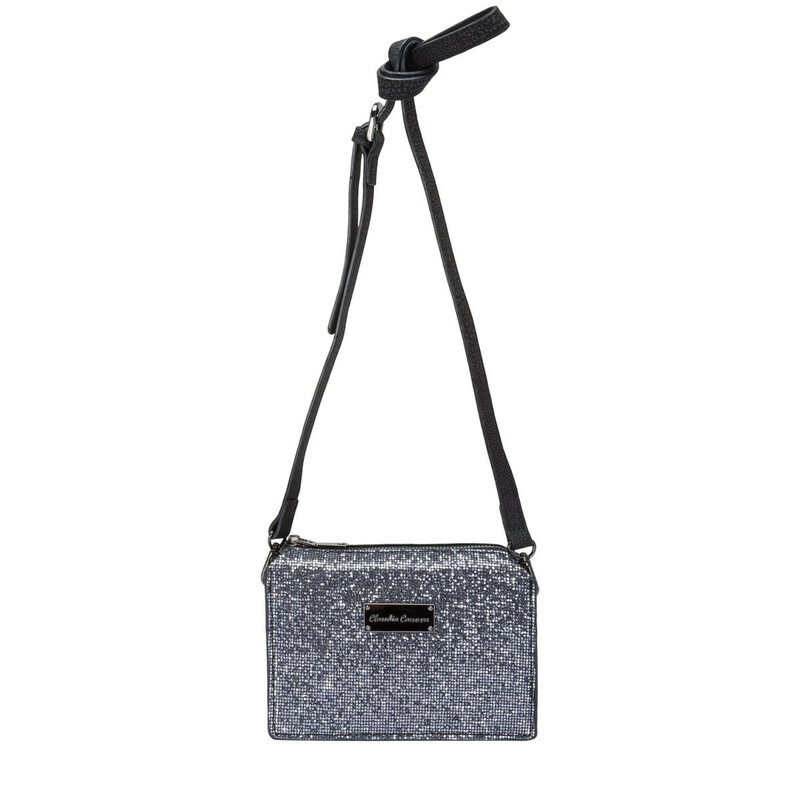 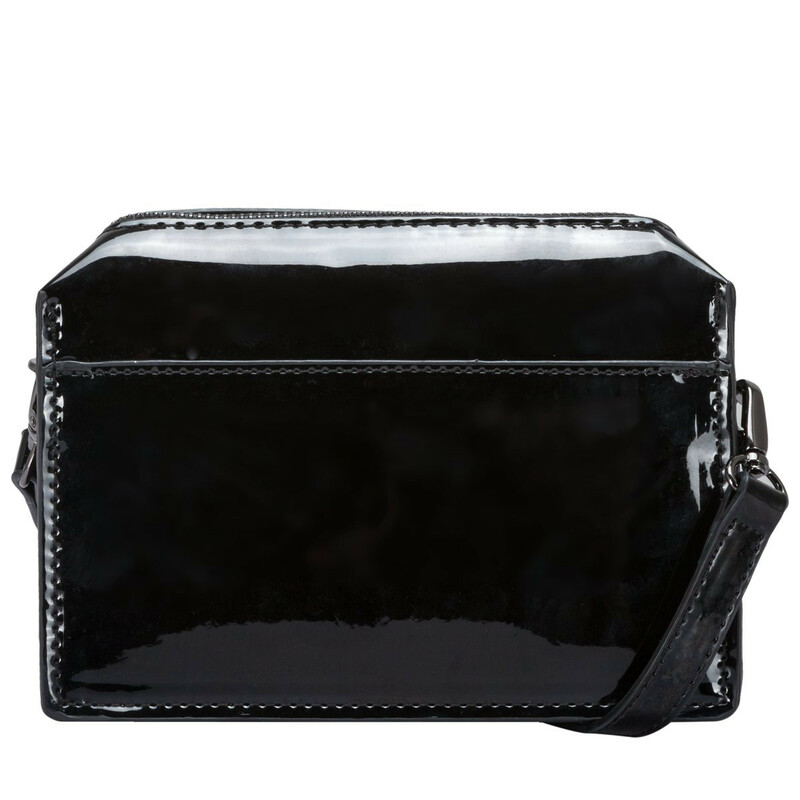 Make a style statement with the Keke crossbody in either PU patent or silver glitter and be sure to turn heads. 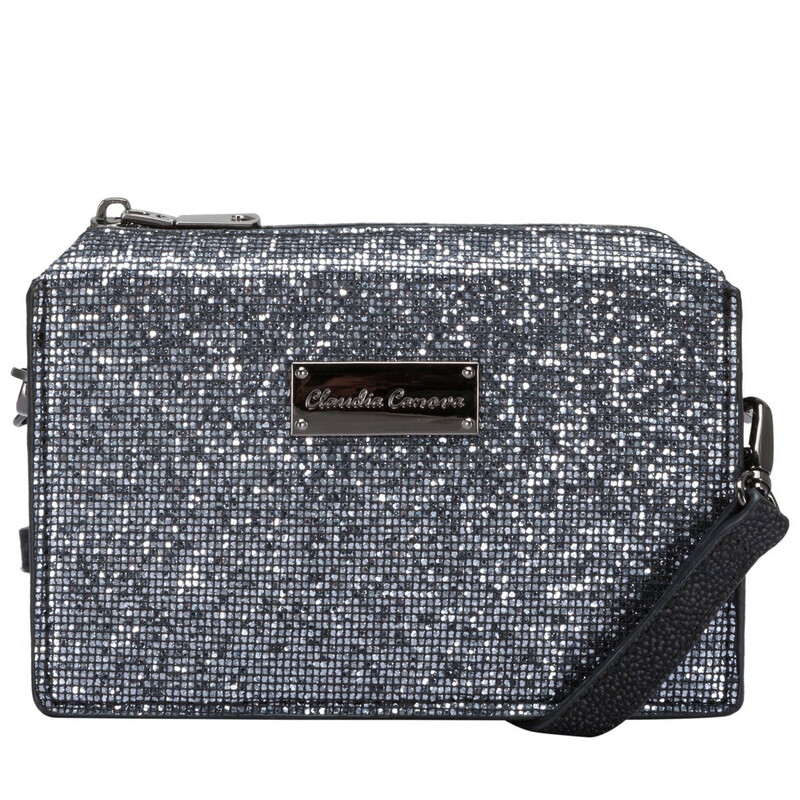 The ultra glam design features the Claudia Canova gunmetal plate logo and added gunmetal hardware. 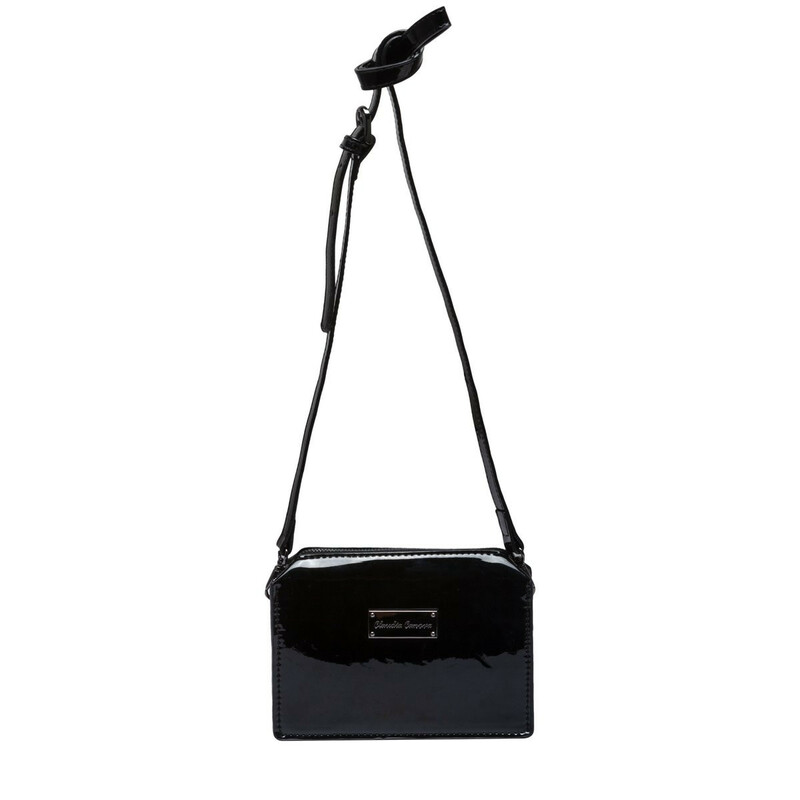 The adjustable strap makes this bag perfect for anyone, while the finish will take you into the weekend with style. 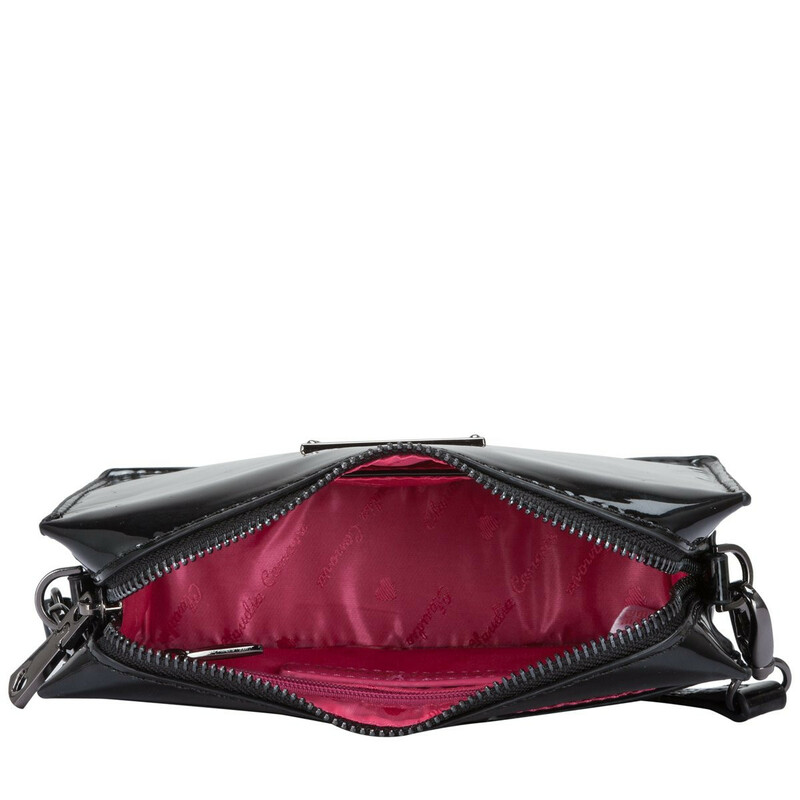 Inside reveals branded lining and inner and zip pockets.